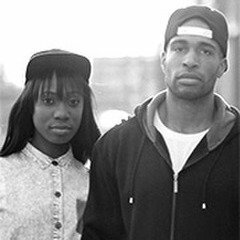 SoGrande (Loquantur RHYTHM December 19-25, 2016) | Loquantur, Inc.
SoGrande features faith based music with a soulful, R&B sound from husband-wife collaborators Rahn Devu and SoGrey. SoGrey overcame poverty in her native Dominican Republic and Rahn conquered a paralyzing high school football injury, deriving inspiration from their struggles. Truly embracing the Christmas spirit of faith and hope, their hip-hop styled version of Carol of the Bells will adorn LoquanturRHYTHM in tribute to the holiday season. Their music lifts up the spirit weaving together urban R&B tones with Alternative Rock vocals to heal the soul with grace and redeeming love this Christmas.